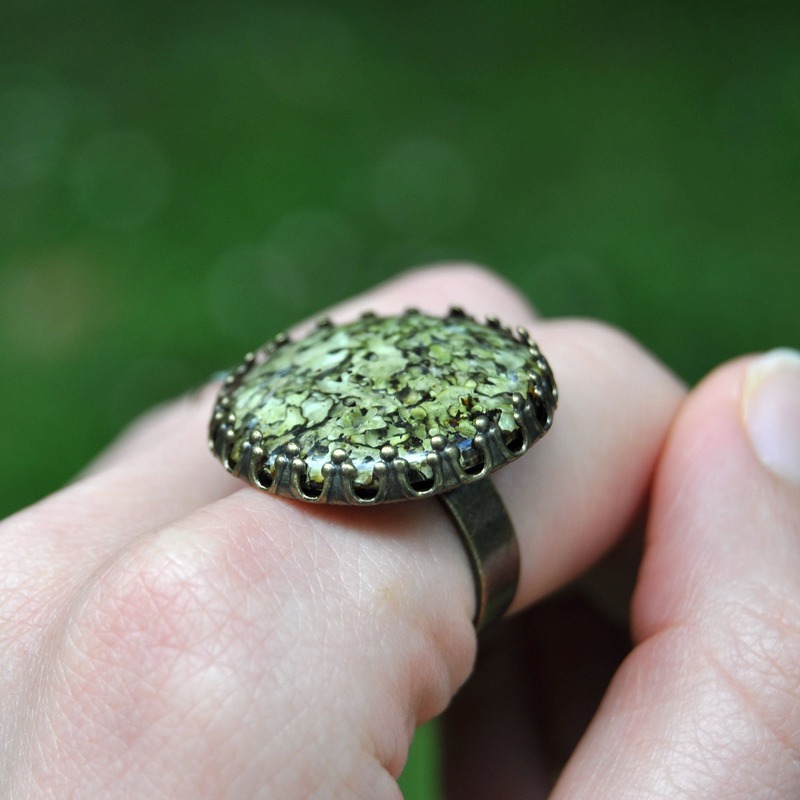 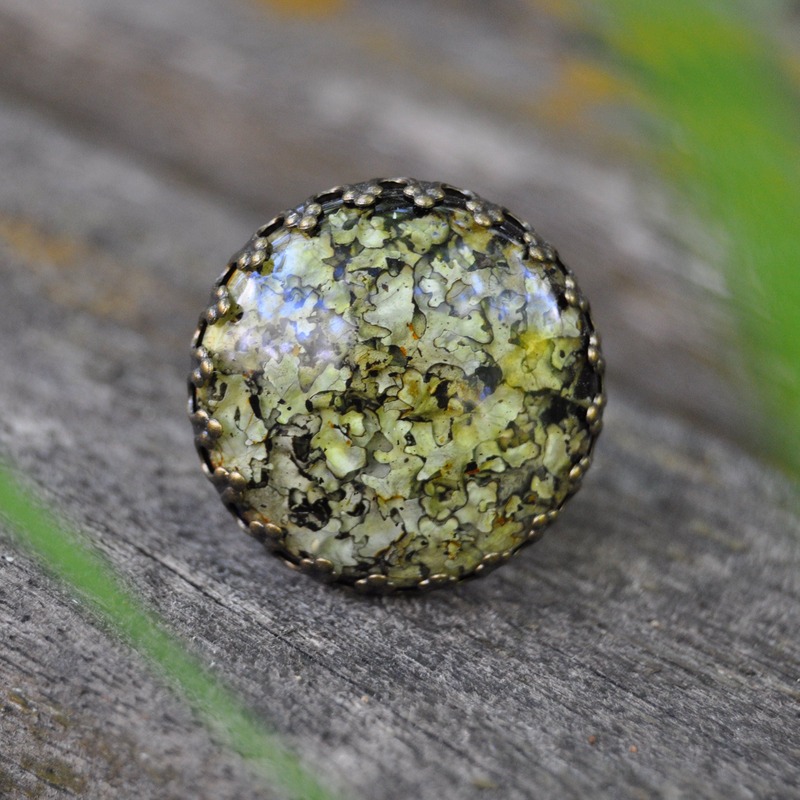 This real lichen ring is a tiny terrarium to wear on your hand, and a lovely way to carry around a little piece of nature. 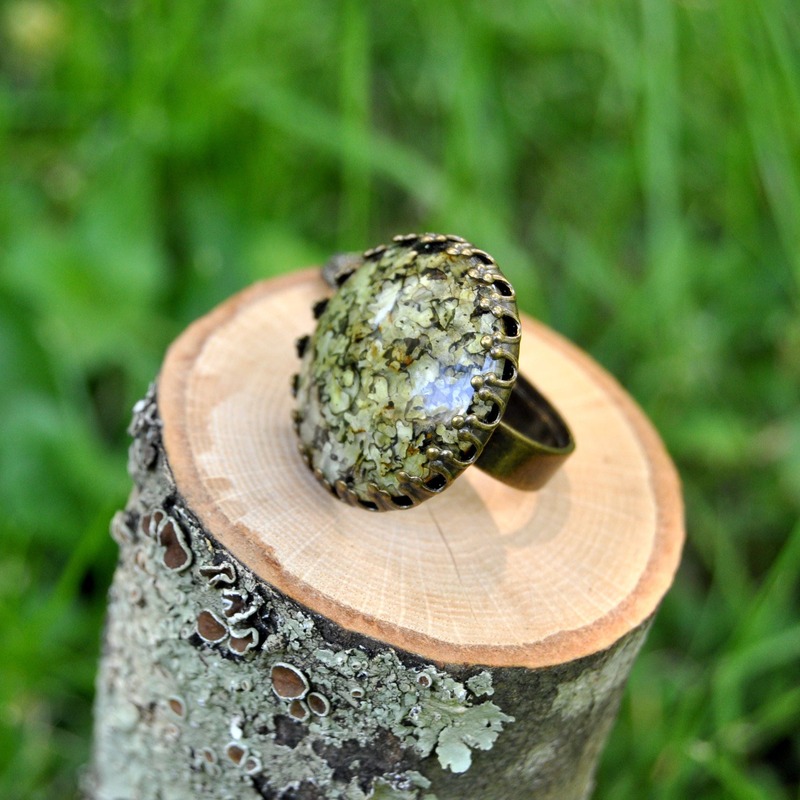 Made with real dried rock lichen, the cabochon was hand cast in eco-friendly resin, then set in a an antique bronze, crown-setting ring. 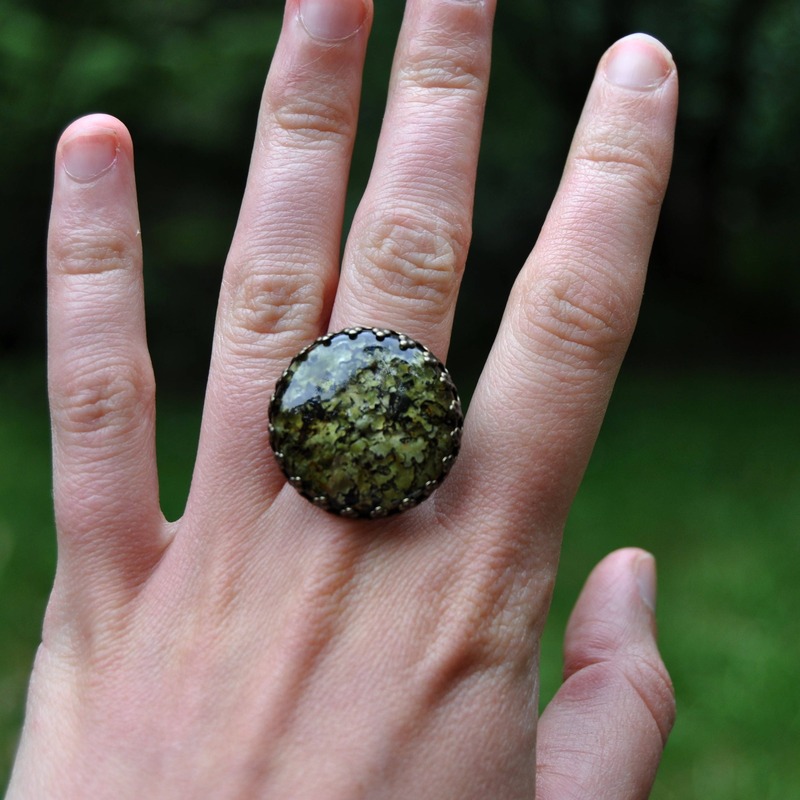 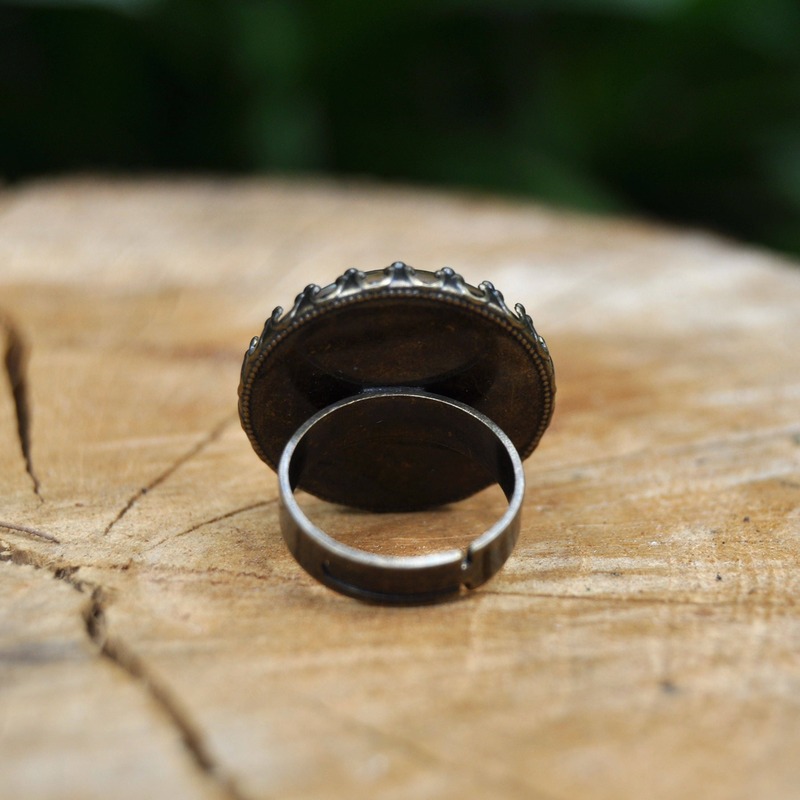 The ring is adjustable, but may be a little large on small fingers (i.e. 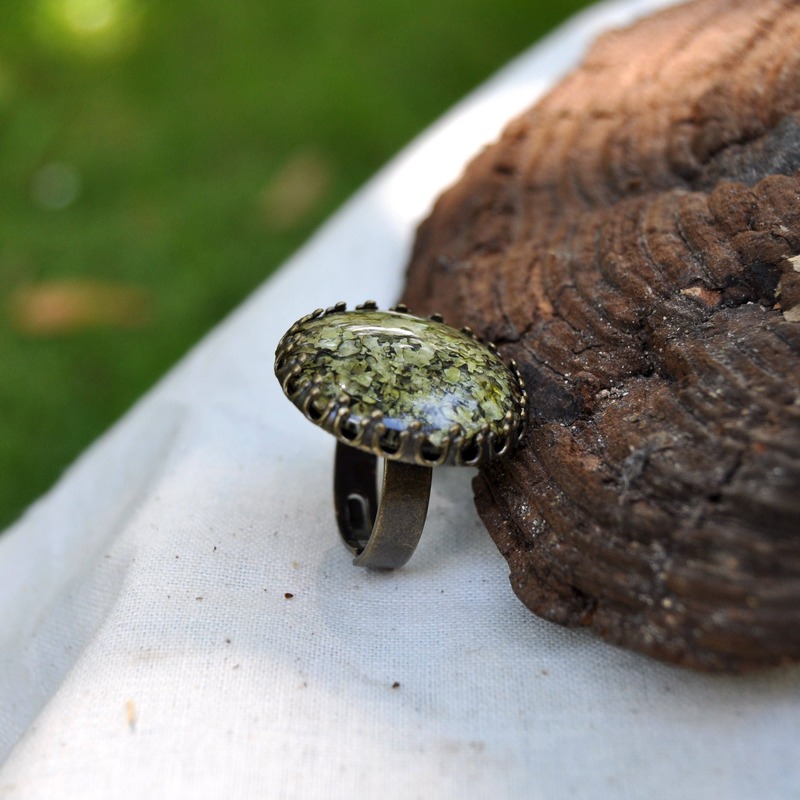 fingers smaller than a US size 7). 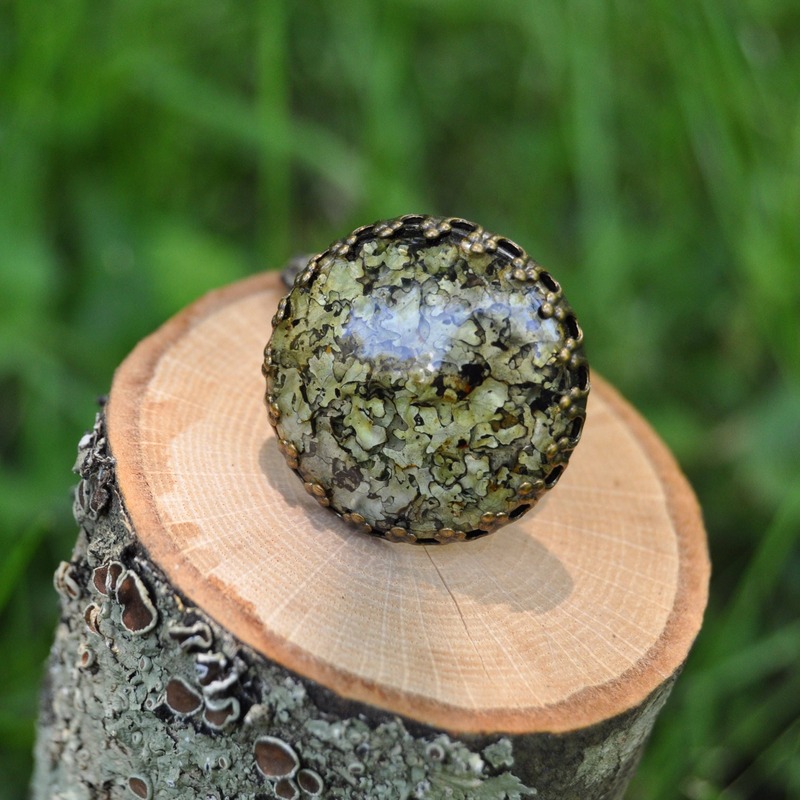 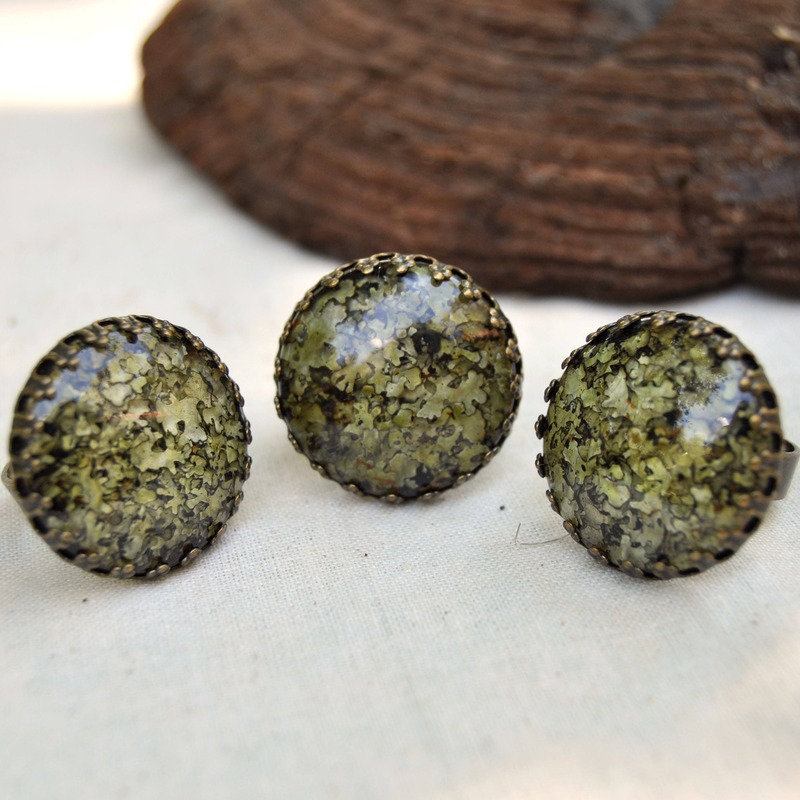 The resin cabochon in approximately 25mm (1 inch) wide.